I recently arrived early for a dear friend’s funeral. Sitting alone in the chapel, I picked up the Bible in the pew rack in front of me and opened it to a random page, then began reading. The passage, from John 10, was about how the Good Shepherd tends his flock with diligence while the Hired Hand fails to care about the sheep, putting in the minimum to get by and thus endangering the sheep. How ironic that I had just visited an organization that had been led by a Hired Hand who surrounded herself with others who cared as little as she did! Their “sheep”—in this case, their members, suffered neglect. Some wandered away and did not return. Some needed attention they didn’t receive. In general, the flock was not thriving. Then, the board brought in a Good Shepherd who really cared about the quality of members’ experiences, and challenged the staff she inherited to step up to be good stewards of their members—or to move on to another workplace where they could continue to be Hired Hands. It doesn’t take a Ph.D. in organizational change to feel the difference between an organization where people take ownership and one where they don’t. I just moved the service for my car because the former garage had a shift in leadership that made it clear they saw themselves as Hired Hands, whereas the service folks at the new place clearly care about your experience as their customer. In reviewing Yelp and other review sites on the two, I quickly verified that I was not alone in noticing the attitude change at the first location, nor in appreciating the attention and care consistently provided by the second. Think about what you communicate to others. As a parent, are you more a Good Shepherd or a Hired Hand? How about as a friend? At work, do you invest your best self every day, or do you shift yourself into automatic pilot and drift through one day after another? If you are a leader, what do your team members see in you? You can’t expect them to engage fully if you are not modeling the dedication of a Good Shepherd. Set incremental goals to re-engage if you’ve lost your commitment. If you can’t, then look for an alternative to your current situation, because Hired Hands may hurt others, but none as much as themselves by living unengaged, unenthusiastic lives. Yesterday, someone asked me what kind of breed my dog was, and when I replied, “He’s a stray,” the fellow responded, “Aren’t we all strays?” It was a comment meant lightly in passing, but I guess it touched something in me, because I’m still reflecting on it. Maybe we are all strays—or many of us. The work of great organizational leaders is to make those of us who are strays feel as if we belong to our organization as vital members. This is the heart of culture—the glue—both visible and invisible—that holds a group of people together. If you have a positive culture based on trust, common goals, and respect, nobody will feel like a stray. That brief conversation reminded me of a story about my dad that happened long before I was born. 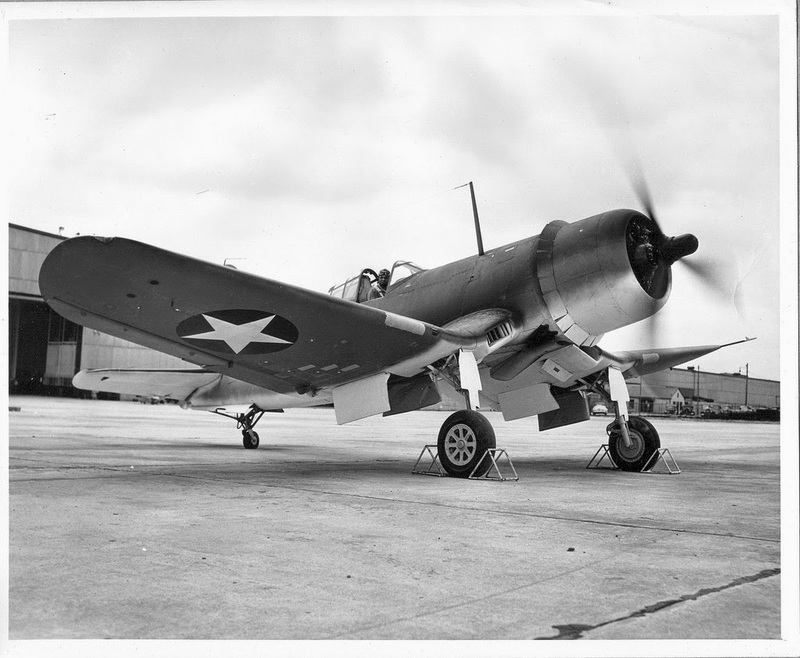 During WWII, he was the general manager of a Goodyear plant in Akron that had been converted to making gull wing aircraft—the kind that takes off and lands on aircraft carriers. The challenge he faced is that his workforce was composed of people who were ineligible to serve in the war. He had a rag-tag collection of women who had never worked outside the home and old or disabled men, several of whom were blind. The timetable to convert the factory from manufacturing tires to producing planes was extremely tight and the materials they needed were often not readily available. My dad engaged everyone in the challenge of figuring out how to make this work, and how they could help others perform their roles consistently, as they understood that their contribution to the war effort was real—American lives were depending on them. What they created is a CONNECTIVE CULTURE that had no room for bureaucracy, egos, or excuses. 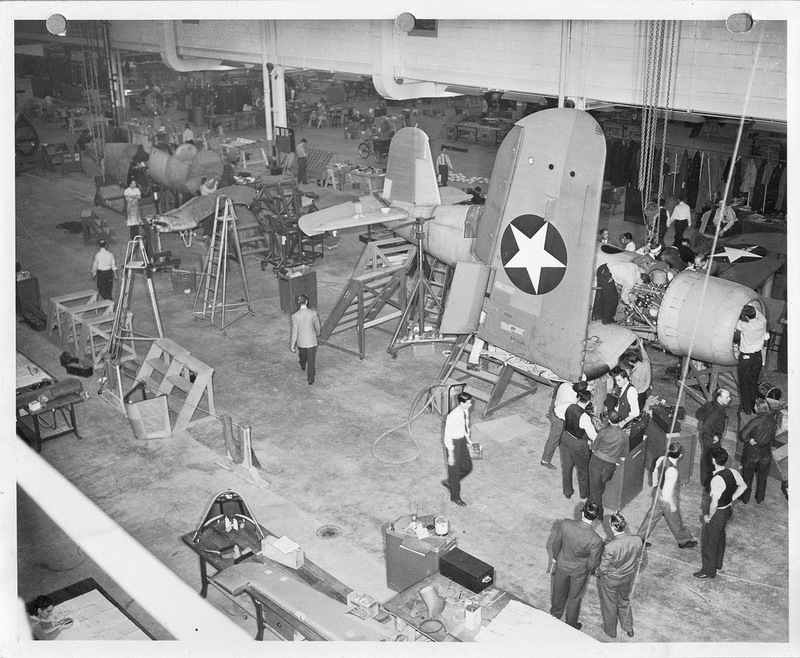 When the first plane came off the assembly line, my dad had arranged for it to be flown over the plant, where all the employees had gathered in the parking lot. As it dipped its wings in salute to the workers who had built it ahead of schedule, my dad reported that there wasn’t a dry eye among them. What kind of culture do you create around yourself? Every family, neighborhood, team, and organization has a culture. What is your contribution to making it as connective as possible? Do you recognize and praise good performance? Do you make sure everyone shares an understanding of their common purpose and is clear about their piece of achieving in order to connect your “strays” into a cohesive group with a united focus? Once you know people agree on the outcome for which they are working, do you stay out of their way by not telling them how to do their part, trusting that they will use their strengths to complete their part? Do you help make sure everyone has the tools, skills, and authority to do what is expected of them? These are all actions that can help you create your own Connective Culture. Like many of my clients, it may be hard to acknowledge that your organization could be doing better until you see how other organizations do things differently. That’s because it is often difficult to identify what it means for an organization to “hum” until you learn to see and feel it elsewhere. You may first witness it when you visit another organization and observe the easy manner and general contentedness and focus of the of the management and staff. You may listen to a friend or colleague in another organization discuss all the ways in which that person finds his office efficient and stimulating. And, sometimes, you can see it in something as simple as a baseball team. 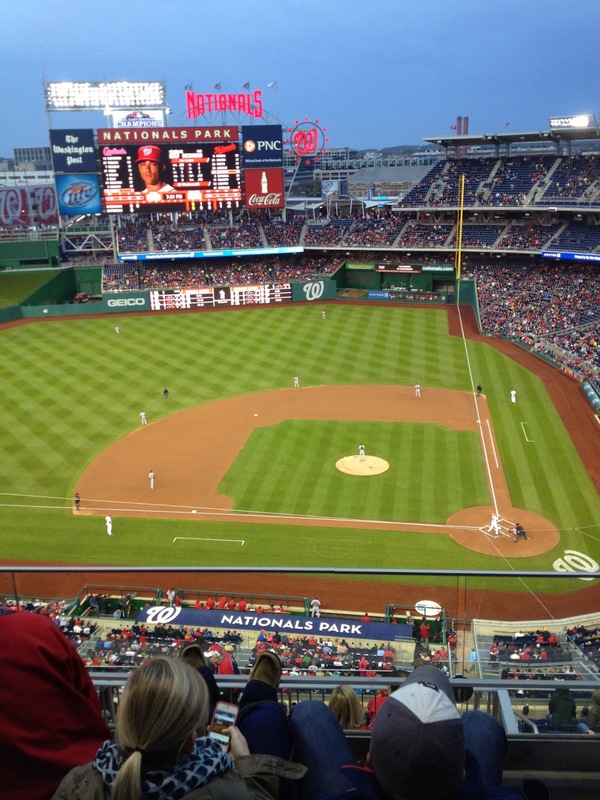 As baseball season gets underway, you may have the chance to see a baseball game in which one team just seems to click. I’m not talking about when disjointed elements like one superstar batter and a talented pitcher create a win. I’m not talking about the home team advantage or a lucky error that leads to a last minute grand slam in the 9th inning. I’m talking about how every once in awhile you witness a game in which each player does his job exceedingly well and with a comfortable ease. I’m talking about the game in which each player’s effort supports the other players’ roles, making the team as a whole much more powerful and successful than it’s individual talented players. It’s when the energy of the team comes together and you can just sense they will win the game from the first inning. If you know what I’m talking about, you know what it means for an organization to hum and you probably know instinctively whether or not your organization plays to win. Once you realize that you will never have a winning team until you take the necessary time and make the effort to make things hum, it is time to take action within your organization. Recently, I conducted a board strategic planning retreat for an international client that had ambitious plans for the future at the same time its board members had identified some critical issues that they believed had to be addressed first. In fact, they had a long “laundry list” of issues, some of which were of strategic importance, others that belonged on a staff member’s to-do list. Here is the break-through exercise that I used with them, which you can use in any number of similar situations—and it is guaranteed to rock your view of what’s truly most important for your organization’s future. Every time I’ve used it, I am in awe of how simple it is and what profound insights it yields. Step 1. Give every participant three 5x8 cards and ask them to write the three most important issues facing the organization, one per card. Collect the cards and spread them out on a wall or even the floor so they can all be seen. Step 2. Ask all participants to get up and, without talking, first group the cards by similarity—clustering together cards that essentially address the same issue. Then, without speaking, instruct them to organize the clusters in order of importance from left to right. If one participant moves a cluster to a place that you disagree with, you may move it to where you believe it belongs—all without exchanging a word. Step 3. When it seems they are content with their clusters and the order in which they’ve placed them, you may ask them to return to their seats. Discuss the clusters to determine what each includes. There should be no more than five or six clusters. Ask the group to give each cluster a title (or you can do this). Step 4. Write on a chalkboard, whiteboard, or wall-mounted flip chart paper the titles of each cluster. It’s even more effective if you can put them in a circle, like the numbers on a clock. Next, tell them they are going to consider how each of the issues relates to each of the others. Select one to start, and direct the group to determine if the greater influence between it and each of the others flows away from it to the other (in which case you will draw a line with an arrow pointing from that issue to the other) or if the influence of the other issue is greater on the original issue (in which case you draw a line with an arrow pointing from the other issue toward the issue you’re considering). You will continue on around asking the relationship between that issue and every other one, having an arrow that shows the direction of influence between it and each of the others. There can be no arrows that point in both directions; they must decide which has the greater influence on the other. Step 5. When you’ve completed the relationship with that first issue and each of the others, do the same exercise with the second issue, the third, etc. until you have an arrow drawn between every key strategic issue and all of the others. The exercise goes faster and faster with each round, because there are fewer relationships that remain unanalyzed. Step 6. Determine which issue has the greatest number of arrows flowing FROM it to other issues. This is the core issue that leaders must address. The issue with the second greatest number of arrows coming from it is your second most important strategic issue, etc. What this exercise does that other processes don’t is override “elephants in the room.” For instance, the board I’m referencing in this blog discovered as a result of this exercise that the strategic issue they had originally ranked as least important (governance) turned out to be the key to all of the others, as every arrow pointed from it to each of the other issues. This opened a floodgate of discussion about the board itself, its role and composition, upon which all other issues depended. Once the board “saw” the truth, they broke through the barrier that had prevented them from addressing their own issues and have commenced taking the steps needed to become the board that can address the other substantive goals they identified earlier.